It is always tough to wave goodbye to your lovely seasonal cottage as cool weather returns. But once the welcoming warmth of the summer recedes, it is time to get to work winterizing your investment so it is ready to enjoy again come next spring! This can be more challenging than it appears at first glance, especially once you factor in the impact of winter moisture. While winter is traditionally a time when the air is more dry and humidity is lower, winter storms and snowfall can change that balance in a hurry. How can you guard against mould and mildew and other airborne toxins when you are not there to monitor your cottage environment in person? In this post, we offer you some of our favorite timely tips to winterize your cottage space to keep it clean safe during the cold season! The number one cause of mould and mildew growth, not to mention insect and animal invasions, is the presence of extra moisture. And the number one cause of excess moisture is water damage due to frozen pipes that burst. So here, it just makes sense that one of the most critical tasks in winterizing your seasonal space is to guard against freezing, bursting pipes. You must completely drain your pipes so no water remains to freeze, expand and burst them. You will want to make sure you drain your well, septic, water lines, hot water heater tank, toilets, traps (such as for the dishwasher, air conditioning/heater and clothes washer) and any other water-based appliances you use. Talk with a plumbing expert about adding non-toxic (RV) antifreeze as an extra precaution. Drain little by little to keep your septic field load manageable. If you do not plan to drain your pipes, you will want to leave your heat running and insulate your pipes to guard against freezing. With this, you will also need to ensure a backup power source in the case there is a power outage. If you have ever been through any kind of mould and mildew remediation process, you probably learned that heat can help evaporate humidity. You want to leave your cottage as dry and humidity-free as possible before closing it up for the winter. If there is noticeable humidity in the days prior to closing, run the heat for a day or two to evaporate the humidity and then close things up. Two of the most problematic major appliances for moisture during the winter are the refrigerator and the freezer. Of course, you will want to clean each thoroughly and air them out. But then be sure to prop open the doors, as well, to avoid humidity and mildew buildup during the winter. If your cottage has an oven, clean it out and place some brown paper bags or crumpled newsprint inside. This helps absorb moisture during the winter. It is quite amazing how creative little critters and animals can be at finding ways to get inside your cottage during the winter! After all, there is a strong incentive to get in and enjoy the warmth and protection from the elements. There are some precautions you can take to limit the risk of infiltration, which can bring with it bacteria, microorganisms, parasites and worse. 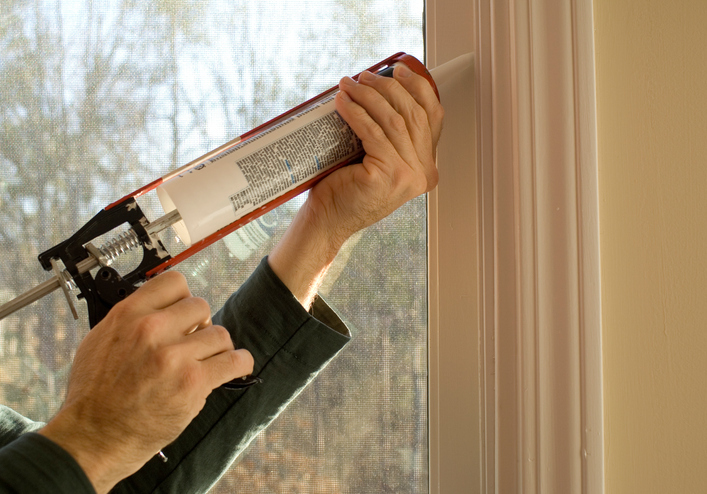 Weatherstripping and sealing windows, doors and areas where there may be small leaks and cracks is a good way to reduce points of entry. Insulating pipes and air ducts and sealing connection points further reduces access. Do an inspection of your floor, attic, crawl spaces, eaves and other less habitable areas and critter-proof these as best you can. Steel wool can be placed inside small holes and cracks and mesh or solid covers can be fitted over vents to keep insects and small animals out. Draw your curtains or blinds and shutter your windows on the outside to further reduce access and also protect your windows from winter storms. One of the most common places where mould, mildew, bacteria and microorganisms begin to grow and flourish is inside the air duct system. This is especially true in homes with older air duct systems that have begun to naturally sag and leak due to old age. Over time, trapped dust, debris and toxins can build up to the point at which the HVAC system actually struggles to push cool or warm air through the ducts without blowing out some of the trapped detritus along with it. When a cottage is shut up for an extended period of time, conditions can grow moist and humid inside the air ducts, allowing mould and mildew colonies to form and spread. If you have ever returned to your cottage after an extended absence and noticed a musty smell to the air, this may be what is causing it! Your dryer vent is another place where dust and debris get trapped and accumulate over time. As lint continues to build up deep within your dryer vent, the risk of electrical fire grows accordingly. This is why one of the best protective, preventative measures you can take before closing your seasonal cottage is to schedule a professional air duct cleaning and a professional dryer vent cleaning. Together, these services take less than half a day to complete. Here at Clean Air Solutions Hamilton, we work together with our sister company, Shipton’s Heating & Cooling, to provide comprehensive HVAC and air quality control to our residential and commercial clients throughout Ontario. Do you need help winterizing your seasonal cottage and ensuring non-toxic conditions come spring? Contact us online or give us a call at 905-544-2470!